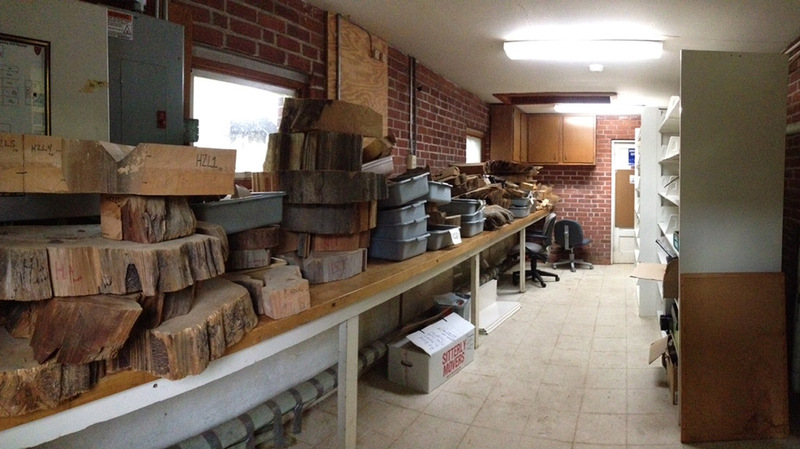 Welcome to the Harvard Forest Tree Ring Lab and Herbarium. 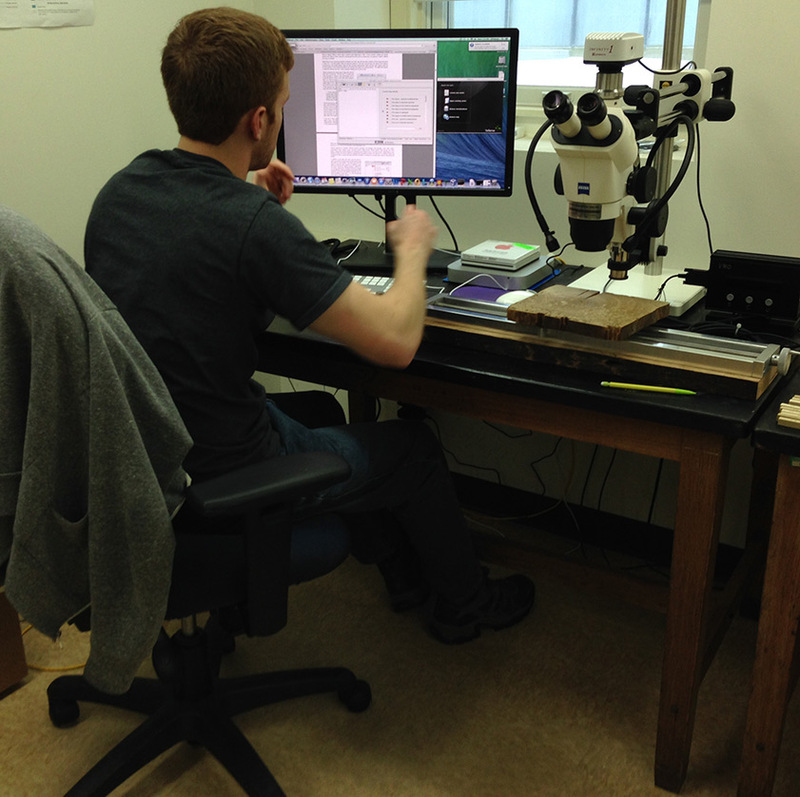 Co-managed with Dr. David Orwig, our lab is set in the northern end of the Harvard Forest Archives Building. 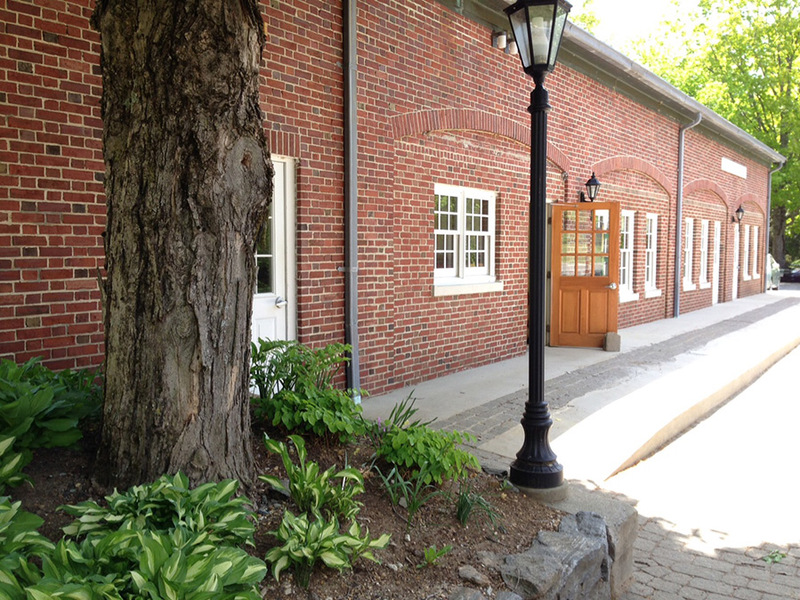 Our lab is a repurposed garage and is shaded by a sugar maple. The main lab is shared space with the Harvard Forest Herbarium. The herbariaum contains ~ 3500 specimens from > 800 species of local flora. 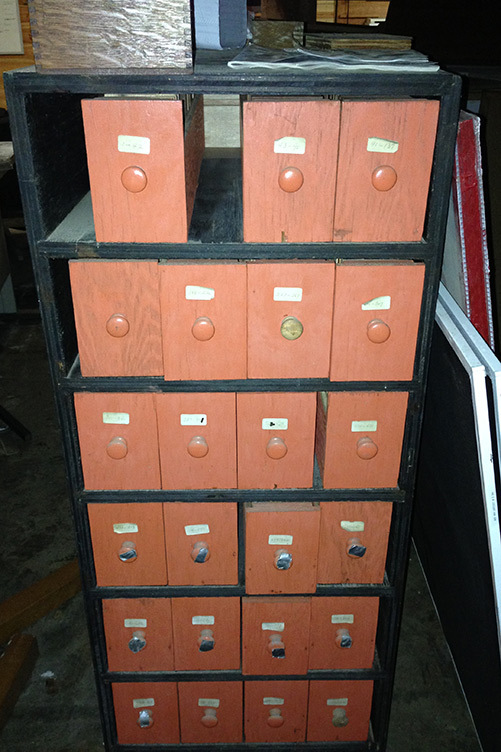 The cabinet with the orange face (far right above) is our Wood ID catalog. 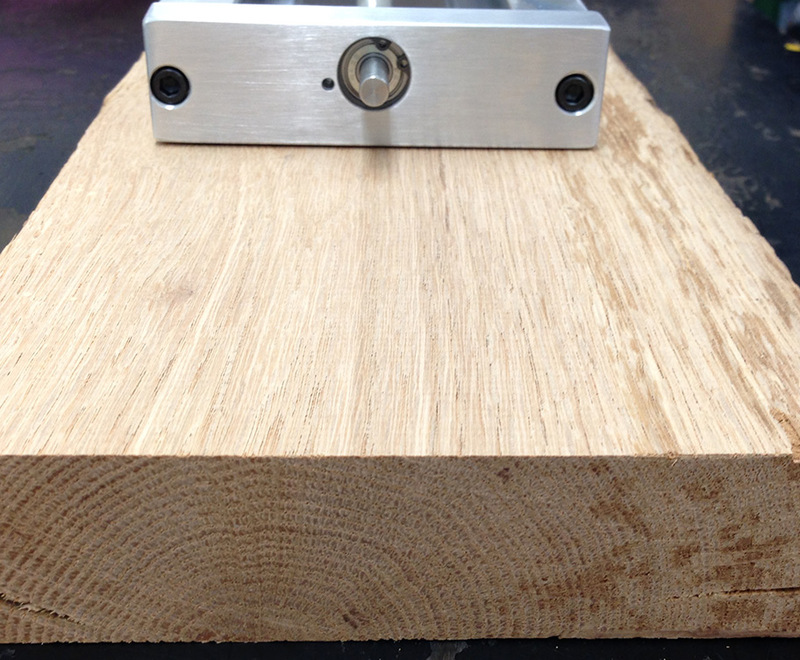 We collect tree-ring data via two Velmex measuring systems. The software system helping us gather, annotate, and archive these data is Tellervo being run on a Mini Mac server. Hopefully you noticed some funky wood on the measuring stage. The base of the stage and the platform upon which we set our samples are old-growth wood from an old house at the Harvard Forest. The platform is white ash while the base looks to be red oak. 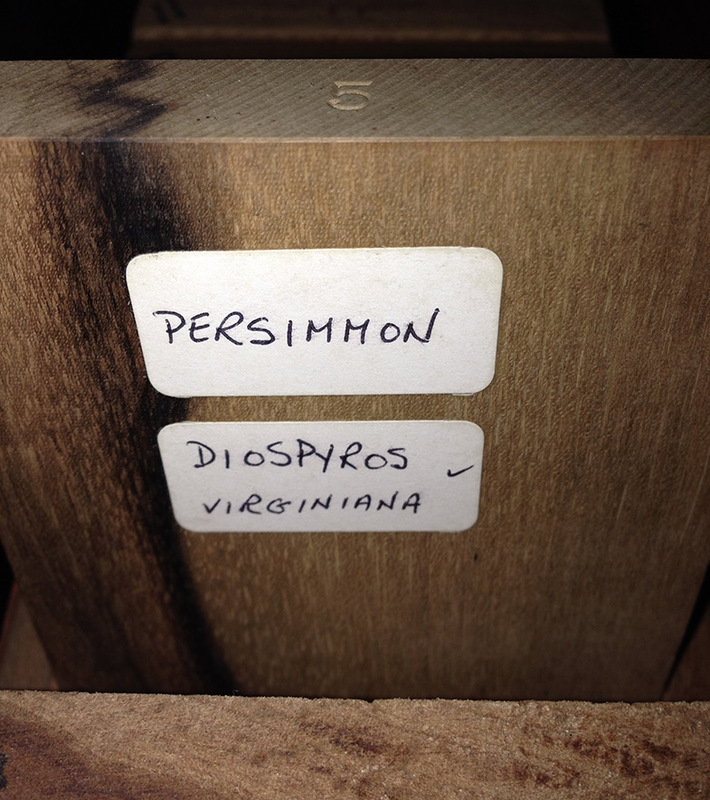 In this way, our old-growth samples feel at home as we biopsy them for all the information they may contain. 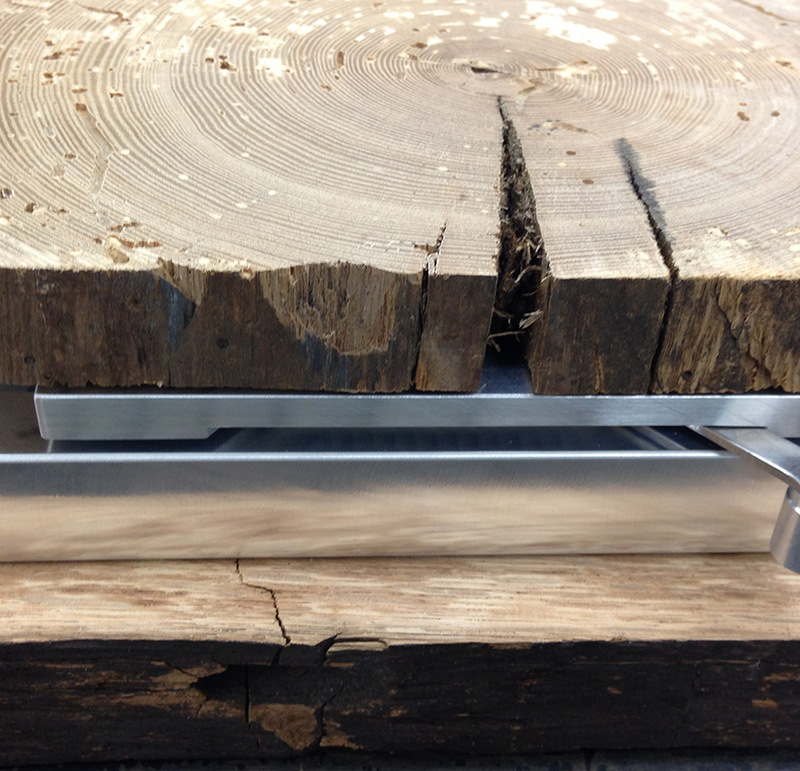 Stress-hormone free, organic tree-ring data only in our lab! The door to the left of the lab leads to our working tree-ring archive. In combination with the Tellervo’s management system and the dedication to archival work here at the Harvard Forest, we will be building a long-term tree-ring sample archive. Stay tuned!